The horn of plenty is a token of abundance and good luck. 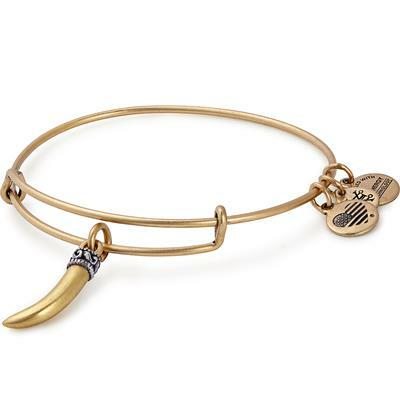 The conical shapen of the horn represents focused energy and vitality. Carry the horn whenever you need a surge of energy! PACKAGING: This Alex and Ani bangle comes packaged in an Alex and Ani gift box with its meaning card and care card. Please note that only bangles over the price of £30 will be packaged in an Alex and Ani box.